The opportunity to create a new choreographic work is a an opportunity any dance artist holds dear, especially when the opportunity arises to have that work fully produced. We’re talking presentation in a professional venue, complete with lighting design, sound mixing, costuming, and all of the bells and whistles many can only hope to include in their choreographic premieres. These opportunities are rare for professional adult choreographers, and even more so for budding young artists in their teens or younger. 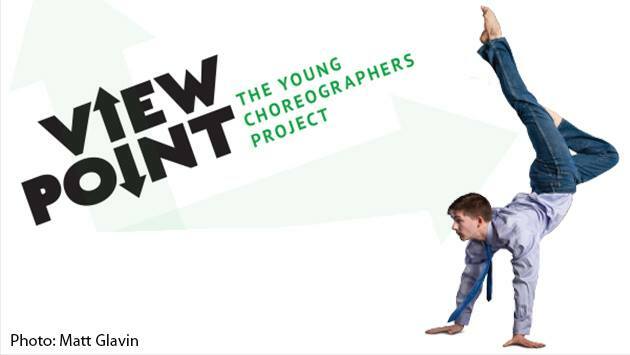 In just two short weeks, Evanston Dance Ensemble will be hitting the stage for their fourth production of The Young Choreographers Project, titled ViewPoint. Each of the eight young choreographers is paired with a professional mentor from the Chicago dance community. This year’s mentors include Enid Smith, Stephanie Paul (Be The Groove/Chicago Dance Crash), Julie Cartier, and EDE Artistic Directors Béa Rashid and Christina Ernst. An additional two works from EDE Alumni Shelby Moran (Thodos Dance Chicago/Visceral Dance Chicago) and returning guest artist Keesha Beckford round out the program. The Young Choreographers Project encourages young dancers to find and articulate their individual voices while developing choreographic skills. In EDE’s own words, “The Young Choreographers Project encourages young dancers to find and articulate their individual voices while developing choreographic skills.”. Another important aspect of growing as a young artist is the ability to verbally articulate thoughts and ideas, and DancerMusic’s Kristi Licera was more than happy to offer these young artists that opportunity. This 4PHOTOS is Part 1 of 2, and features four of the choreographers soon to be presenting work. Read on to learn more, and stay tuned for Part 2 as we countdown to their debuts November 17 through 19. Kristi: What do you want your dancers to take away from this experience? Eliza: I want my dancers to have a really fun time, and express themselves. For me, we don’t get a lot of opportunities as dancers to choreograph on other people. This is a cool show because we finally get to explore our ideas and present them. Kristi: That’s fantastic! Do you have any advice for those in your cast that may become future choreographers for this project? Write your movement down – you never know when it’ll come in handy. Always be thinking about different things that you can do. Eliza: Be okay with going in your room and improvising. Write your movement down – you never know when it’ll come in handy. Always be thinking about different things that you can do. They don’t have to be set in stone – I had an idea at the beginning but completely changed it. Be open to new things! Kristi: Can you tell us about your project and inspiration? Isabelle: I am choreographing a duet, and it’s based on stereotypes that are based on femininity. There will be two solos — one to music and one as a spoken word – that eventually for a duet. I have been doing my own writing for this piece, so it’s based on personal experience and my own observations. Kristi: How do you plan on challenging your dancers artistically, and what types of challenges do you face as a choreographer? Everyone has a different rhythm that they speak in, and I want my dancers to find the connection to that in their bodies. Isabelle: I am looking for my dancers to embrace the words in my piece. Everyone has a different rhythm that they speak in, and I want my dancers to find the connection to that in their bodies. I have had a lot of issues being on stage and talking, so this is my way of challenging myself to embrace two different languages: movement and speech. Kristi: Natasha, let’s talk about what your choreographic process has been like. Can you talk us through your journey thus far? Natasha: It was kind of interesting for me because I had a concept at the beginning, and then I completely trashed it once I started working. I decided that it was not what I wanted to do. I wanted my piece to come from a more holistic process (rather than having a set idea at the beginning). Originally, I asked for different dancers of similar heights because I wanted to experiment with group partnering. Then I got in the studio and decided that, based on the way I work and create choreography, that I might not have been able to pull it together. I would have rather come up with choreography in my style rather than focusing on partnering. Instead I started with a feeling — I really want my dance to be joyful. I would have rather come up with choreography in my style rather than focusing on partnering. Instead I started with a feeling — I really want my dance to be joyful. Kristi: As you continue to explore and define your upcoming choreographic work, what will you be asking of your cast of dancers? Natasha: As this process goes on, I think I will have to push my dancers for precision and clarity, but right now I just want to make sure that they are enjoying themselves in the piece. Pieces that the dancers love to dance are always better – it really enhances the experience for both audience and cast. I am trying to be communicative, make sure everyone is on the same page, and that we’re all having fun! Kristi: It’s not often that young choreographers like yourselves get the opportunity to see their work fully produced, especially in a space as high-tech and new as Studio5. What do you think will be especially challenging for you or your dancers in this production? Jackie: It’s true, we don’t get that many opportunities to choreograph. I want my cast to understand how to move and feel their bodies. I want them to be able to differentiate their movement from piece to piece, especially for those in multiple works. I want my dancers to feel comfortable in their bodies. I want them to be able to differentiate their movement from piece to piece, especially for those in multiple works. I want my dancers to feel comfortable in their bodies. Kristi: That’s something that even the most experienced professional dancers work on, so it’s impressive and essential that you are aware of it as a younger dancer and choreographer. Let’s wrap this up with a question that I asked Eliza: What advice do you have for future participants of EDE’s Young Choreographers Project? Jackie: Throw yourself into it. Try not to be timid.